Scary stories have a long history — from myths designed to scare people into certain cultural behaviors to good old fashioned ghost stories around a campfire. Today we often gravitate toward the medium of film when we want a horror fix. They’re easily accessible and they offer visual and auditory stimuli only surpassed by our real world experiences. In other words, they do a great job of making us uncomfortable and catching us off-guard. Many of the horror films we’ve come to love didn’t start out that way though. Instead they were inspired by, or adapted from, novels or short stories. And unfortunately literary horror sometimes takes a backseat to its on-screen offspring. To shine some light on horror novels that might be worth your attention, let’s take a look at ten reasonably well-known movies covering horror and the supernatural that were based on them. While some of these are based on classics, like Bram Stoker’s work, others might be more of a surprise due to the overwhelming popularity of the film versions. These films and books are listed in alphabetical order. Abraham Lincoln: Vampire Hunter is the most modern example in this list. It’s also the most recent horror film I’ve personally watched, and one I found pleasantly surprising. A mashup of American history and the supernatural didn’t inspire much confidence, but I found the premise too peculiar to pass up. I haven’t had a chance to read the book yet, but it’s near the top of my list in the genre. The Book: The novel, Abraham Lincoln: Vampire Hunter, was written by Seth Grahame-Smith (who is also the author of Pride and Prejudice and Zombies). It was published in 2010. The book was written as a series of secret journal entries of Abraham Lincoln, detailing his life growing up in a world where vampires not only exist but were responsible for the death of his grandfather. Lincoln discovers that vampires are buying and feeding upon slaves, and decides that ending slavery is the key to eliminating vampires in America. 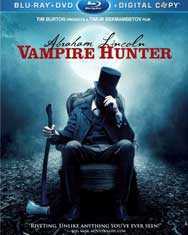 The Movie: The film adaptation of Abraham Lincoln: Vampire Hunter was released during the summer of 2012, starring Benjamin Walker as Lincoln. Seth Grahame-Smith wrote the screenplay, which differed from the novel in a few ways. For example, in the film a young Lincoln witnesses a plantation owner (a vampire) attack his mother, and later seeks revenge (as opposed to the book where he’s told that a vampire killed his grandfather). Several characters in the book — such as Edgar Allen Poe, a friend of Lincoln’s in the novel — make no appearance in the film. The film also introduced new characters such as Adam, played by Rufus Sewell, serving as the leader of the vampires. If there is any classic horror novel whose move to the screen is known the world over, it has to be Bram Stoker’s Dracula. Stoker’s novel has inspired numerous films and a general interest in vampires that has since taken over the worlds of publishing, filmmaking, and television production. For the film version, let’s focus on Francis Ford Coppola’s 1992 incarnation. The Book: Stoker’s Dracula was published in 1897, but was not the first tale of vampires. It was itself derivative in that it stemmed from folk tales from Eastern Europe. The name “Dracula” came from “Dracul” — the name taken by descendants of Vlad II (Vlad the Impaler) — and was actually a late title change for the novel. Its original working title was simply The Un-Dead. 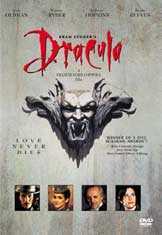 The Movie: While there are many films influenced by Stoker’s Dracula — from 1922’s unauthorized adaptation of Nosferatu to the 1995 Mel Brooks spoof, Dracula, Dead and Loving It — the 1992 version is supposed to be based more directly on the novel than some other films in the vampire genre. The film, starring Gary Oldman, Keanu Reeves, Anthony Hopkins, and Winona Ryder, stays true to some elements of the book, but takes a more romantic and sexualized approach to the story. The Exorcist is one of those stories so embedded in our culture through film, that you might not have realized it was based on a novel. The book was, in turn, inspired by a supposedly real-life demonic possession from the late 1940s. The Book: The Exorcist is a novel written by William Peter Blatty. It was first published in 1971. Blatty wrote the novel after hearing about an actual exorcism from 1949 which took place in Maryland. The book covers the story of two Jesuit priests who try to rid a girl named Regan MacNeil of a demonic possession. 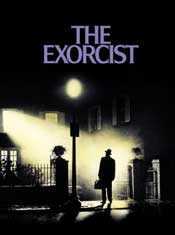 The Movie: The film adaptation of The Exorcist was released just two years after the novel, in 1973. The movie follows the same basic story of possession and exorcism, and has become a horror genre classic. The Exorcist was the first horror film to receive a nomination for Best Picture for the Academy Awards. Mary Shelley’s Frankenstein; or, The Modern Prometheus, like Dracula, is another famous horror novel that has seen its fair share of film adaptations. For this article, I’d like to focus on the 1931 film from Universal Pictures. The Book: Mary Shelley began writing Frankenstein when she was 19 years old. It was published two years later, in 1818, without her receiving credit. She was finally credited as the author in 1823 with the second edition of the book. The story revolves around Victor Frankenstein, a scientist who in an effort to bring the dead to life creates a monster. As much as Frankenstein is an example of science fiction, it also has elements of a murder mystery with innocent people accused of murders they didn’t commit, and it addresses issues of societal norms and acceptance as well as revenge. The Movie: The 1931 cinematic telling of Frankenstein came early in Hollywood’s monster movie trend of the 30s and 40s. 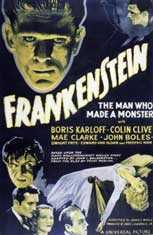 The Universal Pictures production starred Boris Karloff as the monster and Colin Clive as Dr. Frankenstein (named Henry in the film, although the character’s name was Victor in the novel). This version of Frankenstein wasn’t directly adapted from the novel. Instead it was adapted from a 1927 play by Peggy Webling, which was in turn based on Shelley’s book. Interview With the Vampire is one of the more obvious examples here because the book is equally, if not more, well-known when compared to the movie. The book’s author, Anne Rice, was one of my fall-backs growing up. The film is one of my favorite vampire movies (where vampires fell somewhere between today’s teenage heartthrobs and the monsters of old), in large part because it maintained the general feel of the books. The Book: The story centers around Louis, a vampire, as he tells the story of his life to a reporter. That story involves his companion / “creator,” Lestat, a young girl named Claudia who Lestat also turned into a vampire, and Louis’ and Claudia’s efforts to free themselves from Lestat and find others of their kind. The novel was based on a previously-written short story Rice worked on in the late 60s, and it was published in 1976. 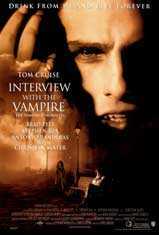 The Movie: Interview with the Vampire: The Vampire Chronicles was the 1994 film adaptation of Rice’s work. It starred Tom Cruise, Brad Pitt, Antonio Banderas, and Kirsten Dunst. Anne Rice wrote the screenplay for the film, which explains why it stayed reasonably true to the novel. Even though we now know that great white sharks don’t go out of their way to hunt humans (they sometimes investigate out of curiosity instead), Jaws still strikes fear into the hearts of many beach-goers. The story is a great reminder that horror isn’t always about the supernatural. The fear of the unknown can come equally from the natural world around us. The Book: Peter Benchley’s Jaws was published in 1974 and tells the story of three men who set out to kill a great white shark that terrorized their small Long Island town. The movie rights to the novel were secured fairly early and the filmmakers’ efforts to build interest in the story helped the book become a bestseller, which it remained for 44 weeks. 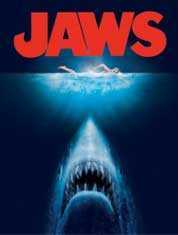 The Movie: Stephen Spielberg’s film adaptation of Jaws was released in 1975, just after the novel’s release and ascension to the bestseller lists. The movie starred Roy Scheider, Richard Dreyfuss, and Robert Shaw as the three shark hunters in the tale. One of the three characters was supposed to die in a shark cage according to the novel (no spoilers here for those who haven’t seen or read it). But the script was changed when Spielberg wanted to use footage captured of an actual great white shark tearing the empty cage apart. The movie also removes the love triangle between Martin and Ellen Brody and Matt Hooper, which was a significant sub-plot of the novel. The Movie: The film version of Misery, released in 1990, starred James Caan as Paul Sheldon and Kathy Bates as Annie Wilkes. The story itself doesn’t deviate much from the novel, although some details were changed — such as the mode of injury or death in a few instances to lessen the gore. The finished manuscript Annie forces Paul to write also faces a different fate — being destroyed whereas Paul only pretends to burn it in the novel. Bates won an Academy Award in 1991 for her role in the film, making her the first woman to win the award for Best Actress in a horror film. 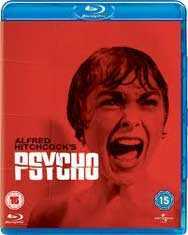 Psycho is another classic horror film that began as a novel. The story revolves around Norman Bates who runs a motel and lives under the supposed rule of his puritanical mother. The character of Norman Bates was based in part on the story of real-life killer Ed Gein who murdered two women not far from the author’s hometown. The Book: Psycho, the novel, was written by Robert Bloch and published in 1959. The basic story doesn’t change much from the novel to the screen, both emphasizing the idea that even your small town neighbor could really be a “psycho” without you realizing it. But the way the story is told does change. For example, the book shows Bates as an unstable drunk whereas the film portrays him as younger and with a rather innocent appeal early on. The Movie: In addition to changing the physical and behavioral aspects that made Norman Bates inherently creepy in the novel, the Alfred Hitchcock’s film changed the early point of view somewhat. There’s more of a focus on Marion Crane (named Mary in the book) so the audience becomes more emotionally invested in her fate. That, plus the character changes to Norman, went a long way to intensify Hitchcock’s classic suspense. You probably know that The Ring is the American remake of a Japanese horror film called Ringu. But what you might not know is that Ringu itself was based on a novel of the same name by Kôji Suzuki, who co-wrote the screenplays for both movie versions. The basic premise is that of a cursed video tape, where viewers are said to die seven days after watching it. Of all the book-to-film horror stories, the general idea behind this one makes this perhaps the most obvious choice of all for an adaptation to the screen. The Book: There are significant differences between the novel and films. For example Suzuki’s book, released in 1991, takes more of a science fiction approach. The video tape transmits a sort of virus (the Ring Virus) that causes the viewer to have a heart attack on the seventh day after watching it. Also, the main character — a reporter — is a man. The Movie: In the Japanese version of the film, the reporter is a woman named Reiko. And in the American version her name is Rachael. Also, the films are more vague about how victims are killed — leading some feel they’re simply scared to death rather than suffering heart attacks as a result of a virus. The “creepy little kid” side of the horror genre has always been appealing to me. There’s something doubly horrific about evil when the innocence of children is involved. And that’s the case with Rosemary’s Baby — a fairly simple story about selling your soul, and your child’s, to get ahead. The Book: Rosemary’s Baby was written by Ira Levin and published in 1967. It tells the story of Rosemary Woodhouse, her husband Guy, and two neighbors. The neighbors — Minnie and Roman Castevet — make Rosemary a bit uneasy, but her husband (a struggling actor) takes to them. Long story short, Rosemary becomes pregnant and believes her husband has traded their child to the Castevets and a satanic cult in order to achieve success as an actor. 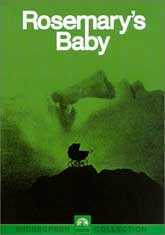 The Movie: The film version of Rosemary’s Baby, directed by Roman Polanski, was released just one year after the novel. It stars Mia Farrow as Rosemary and is faithful to its source of inspiration. Like readers of the book, viewers of the film are brought into Rosemary’s almost claustrophobic and seemingly paranoid world where she feels like everyone is conspiring against her and she just might be carrying the spawn of Satan. There are many more horror films out there that come from novels (or even shorter works of fiction). Here are a few more examples you might have seen or read. These are by no means the only supernatural and scary movies that stemmed from books and stories. I wish I could say I’ve personally seen and read every one of them. But I’m still working on that. Can you think of other examples? Did you enjoy the book or film more? What did, and didn’t, you like about the film adaptation? Share your thoughts and examples with us in the comments (but out of respect for other readers, please try not to share too many spoilers). Disclaimer: The images used in this post are the property of their respective creators or owners. They are used here in thumbnail form in what is believed to be a fair use context as a reference point to illustrate accompanying commentary. A.J. Klein is a horror writer working on her first novel and short story collection. She blogs about the horror genre, and has worked as a professional blogger and freelance writer for more than ten years (under another name). She also writes mysteries as Aria Klein.